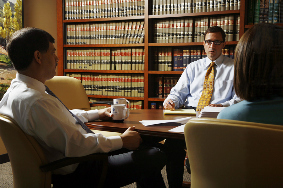 At Denver’s Kresl & Singer, we work proactively with our clients to avoid legal issues—and if litigation is unavoidable, we aggressively protect your interests. Tom Kresl and Roger F. Johnson have each been recognized as AV® PreeminentTM Peer Review RatedSM attorneys by Martindale-Hubbell®. This rating is reserved for lawyers whose peers believe them to have the highest level of professional knowledge and ethics.